Daniel is a sought after yoga teacher, spiritual educator, collaborator & massage therapist throughout the Philadelphia area & beyond. He is also co-owner of the one-of-a-kind healing sanctuary & creative space, Palo Santo Wellness Boutique. His journey towards a healthier body, steadier mind, stronger connection to spirit and more open heart has drawn Daniel to not only study yoga asana, but yoga philosophy and ancient yogic texts – especially bhakti yoga, or the yoga of devotion. Drawn towards the idea of spirituality being more present in your life but not sure where to begin? Enjoying your yoga practice, but looking to dive in deeper and bring yoga into all aspects of your life? Schedule a spiritual consultation with Daniel and help answer some of these questions! Drawing from his many years of experience as a healer, yoga teacher, meditator, mentor, massage therapist and student of Bhakti yoga (the yoga of devotion), Daniel will help give context the desires towards a fuller sense of connection to your self and the world around you. Through the instruction & discussion of mantra, meditation, and ancient yoga texts full of wisdom for modern ears, Daniel will tailor each session to meet your needs. Expect to open up your mind to new possibilities, surprise yourself, break down perceived limitations, connect deeply to your self and to source, and find the gift of everyday bliss. Empower yourself! Step into the healing of all things yoga and develop a personal asana practice that will transform your life. In daniel’s private sessions you will receive philosophy, anatomy, alignment, practical insight, modifications, and guidance to fit your lifestyle, body, mind and spiritual goals. holistic & heart-centered, each session provides a bountiful source of information, study, and hands-on practice. The ancient practice of mantra meditation has brought countless seekers into deep states of bliss, healing, love, and connection. Bring this powerful type of meditation into the everyday fabric of your life and open up the door into stronger spiritual empowerment. Daniel teaches personal mantra meditation (japa) and the art of kirtan (chanting and singing) for beginners. If you are a yoga teacher or a student, these classes can revolutionize your teaching and your life. $75 for 1 hour $100 for 90 min. This style focus on the movement of swedish massage but includes elements of trigger point, of deep tissue, thai yoga, and other modalities. The session and style emphasized is tailored to the needs of of the client. Expect a relaxing, rejuvenating, and healing experience. $90 for 1 hour $115 for 90 min. COME WITH US TO PARADISE! March 23-29th! Mark your calendars, ask for that time off, and plan for a late winter retreat that will be relaxing, deeply healing, & wildly adventurous!! sol2soul yoga retreats returns and this year we are off to the nature-abundant beautiful Pacific Coast of Mexico! Right next to the sea & nestled by the Sierra mountains, we handpicked this gorgeous, rustic boutique destination because it aligns with our above & beyond retreat offerings! Enjoy: yoga twice daily, eco-beach bungalows, delicious healing & nourishing meals, surfing, kayaking, hiking & nature walks, spa, snorkeling, cacao ceremony, sound bath, mantra, meditation, Kirtan, spiritually, yoga nidra, make-your-own medicine workshops & more!! 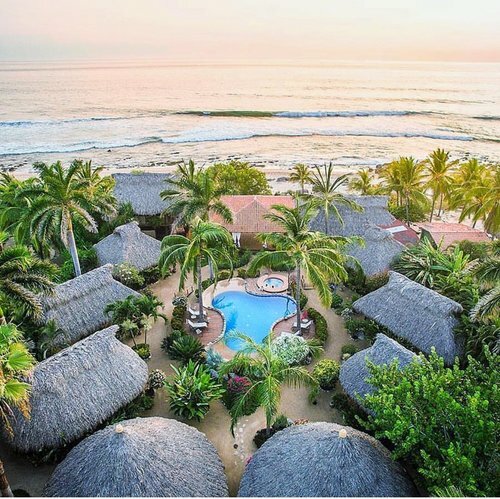 Join Palo Santo owners daniel cordua & Rachel cordua & our favorite LA-based teacher april joy this March for more SOUL 💛💛 on the Pacific coast of Mexico.